Scientists at The University of Manchester have produced the most tightly knotted physical structure ever known - a scientific achievement which has the potential to create a new generation of advanced materials. The University of Manchester researchers, led by Professor David Leigh (photo) in Manchester's School of Chemistry, have developed a way of braiding multiple molecular strands enabling tighter and more complex knots to be made than has previously been possible. The breakthrough knot has eight crossings in a 192-atom closed loop, which is about 20 nanometers long. Being able to make different types of molecular knots means that scientists should be able to probe how knotting affects strength and elasticity of materials which will enable them to weave polymer strands to generate new types of materials. Professor David Leigh said: "Tying knots is a similar process to weaving so the techniques being developed to tie knots in molecules should also be applicable to the weaving of molecular strands. "For example, bullet-proof vests and body armor are made of kevlar, a plastic that consists of rigid molecular rods aligned in a parallel structure - however, interweaving polymer strands have the potential to create much tougher, lighter, and more flexible materials in the same way that weaving threads does in our everyday world. "Some polymers, such as spider silk, can be twice as strong as steel so braiding polymer strands may lead to new generations of light, super-strong, and flexible materials for fabrication and construction." Professor David Leigh said he and his team were delighted to have achieved this scientific landmark. Biologists at the University of California (UC) San Diego have documented for the first time how very large viruses reprogram the cellular machinery of bacteria during infection to more closely resemble an animal or human cell--a process that allows these alien invaders to trick cells into producing hundreds of new viruses, which eventually explode from and kill the cells they infect. In a paper published in the January 13, 2017 issue of Science, the researchers conducted a series of experiments that allowed them to view in detail what happens inside bacterial cells as the invading viruses replicate. The article is titled “Assembly of a Nucleus-Like Structure During Viral Replication in Bacteria.” "Scientists have been studying viruses for a hundred years, but we've never seen anything like this before," said Joe Pogliano, Ph.D., a Professor of Molecular Biology who headed the research team. "Every experiment produced something new and exciting about this system." 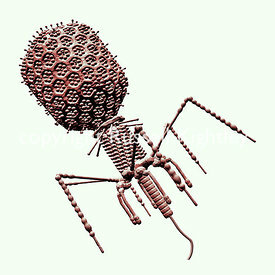 Viruses that infect bacteria, also known as bacteriophages, are some of the most numerous entities on earth. "We chose to study a family of unusually large bacteriophage and to apply cutting-edge methods to watch their replication in unprecedented detail," said Dr. Kit Pogliano, also a Professor of Molecular Biology who participated in the study. Dr. Joe Pogliano and his colleagues found that shortly after bacteriophages infect bacteria, they destroy much of the existing architecture of the bacterial cells, including bacterial DNA, then hijack the remaining cellular machinery. The viruses then reorganize the entire cell into an efficient, centralized factory to produce the next generation of viruses. In a new study, published online on January 11, 2017 in Nature, an international research group led from Uppsala University in Sweden presents the discovery of a group of microbes that provide new insights as to how complex cellular life emerged. The study provides new details of how, billions of years ago, complex cell types that comprise plants, fungi, but also animals and humans, gradually evolved from simpler microbial ancestors. The open-access article is titled “Asgard Archaea Illuminate the Origin of Eukaryotic Cellular Complexity.” Life on our planet can be divided into three major groups. Two of these groups are represented by tiny microbes, the Bacteria and the Archaea. The third group of organisms comprises all visible life, such as humans, animals, and fungi -- collectively known as eukaryotes. Whereas the cells of bacteria and archaea are generally small and simple, eukaryotes are made up of large and complex cell types. The origin of these complex cell types has long been a mystery to the scientific community, but now an international collective of researchers led by Uppsala University has identified a group of microorganisms that provides a unique insight into the evolutionary transition from simple to complex cells. Based on pioneering work by the acclaimed biologist Carl Woese, it has been known that eukaryotes at some point shared a common ancestor with archaea. It was also clear that symbiosis - a process involving an intimate collaboration between two cell types -- played an important role in this process. Most scientists share the view that a symbiosis in which an archaeal host cell took up a bacterium ultimately gave rise to eukaryotes. Yet, whether this symbiosis was the cause or rather the consequence of the evolution of complex cells remained an open question. Over a century ago, a German-born scientist experimenting with impregnated sea urchin eggs had an insight that led to one of the first modern theories of cancer. Theodor Boveri linked incorrect chromosome number in urchin embryos with abnormal development. In 1902, he reasoned that having the wrong number of chromosomes could cause cells to grow uncontrollably and become the seeds of cancerous tumors. On January 12, 2017 in the journal Cancer Cell, Cold Spring Harbor Laboratory (CSHL) Fellow Jason Sheltzer, Ph.D., and colleagues at CSHL and MIT report surprising results of experiments intended to explore the consequences of having too many or too few chromosomes, a phenomenon that biologists call aneuploidy. The article is titled “Single-Chromosome Gains Commonly Function As Tumor Suppressors." Ever since Boveri's era, it's been known that cells in most cancers - 90% of solid tumors and 75% of blood cancers - have abnormal chromosome numbers. 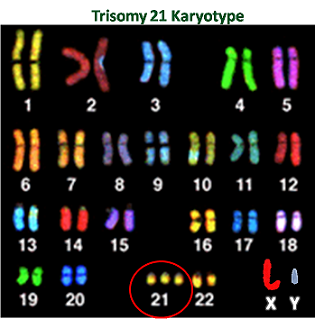 (Most human cells normally have 46 chromosomes: two sets of 23, one set inherited from each parent.) The newly published experiments suggest the relation between aneuploidy and cancer is more complex than previously believed. "Boveri brilliantly hypothesized that having the wrong chromosome number disrupted an equilibrium in cells between signals that promote and inhibit proliferation, leading normal cells to be transformed into cancerous ones" Dr. Sheltzer says. "We set out to test this in cell lines derived from mice and humans, and came up with a result we definitely did not expect - which then led us to dig deeper for answers." Dr. Sheltzer, who began his project in the laboratory of Dr. Angelika Amon at MIT and carried it to conclusion in his own research group at CSHL, placed two sets of otherwise identical cells in culture dishes, side by side. Imagine a day when you visit the doctor's office for your annual physical. Your physician orders routine tests - cholesterol, glucose, and blood count - but he or she also order a sequence of your genome, all 3 billion letters of it. Routine genomic testing is not far away, according to researchers at The University of Texas Health Science Center at Houston (UTHealth). "Whole genome sequencing will become an integral part of routine medicine in the near future," said Eric Boerwinkle, Ph.D., Dean, M. David Low Chair in Public Health and Kozmetsky Family Chair in Human Genetics at the UTHealth School of Public Health. To help physicians, patients, and scientists process this incredible amount of data, Dr. Boerwinkle and his team of genetic researchers have developed a framework to understand how whole genome sequence data can be analyzed to identify genetic variations that raise or lower risk of disease. A paper on the framework was published online on January 12, 2017 in the American Journal of Human Genetics. The article is titled “Practical Approaches for Whole-Genome Sequence Analysis of Heart- and Blood-Related Traits "The important aspect of this work is that it provides practical steps for scientists and physicians to help analyze whole genome sequences to identify differences that may be increasing disease risk or protecting certain individuals from diseases such as diabetes, cancer, and heart disease," said Alanna Morrison, Ph.D., Professor and Chair of the Department of Epidemiology, Human Genetics, and Environmental Sciences at the School of Public Health. Dr. Morrison was first author of the study. 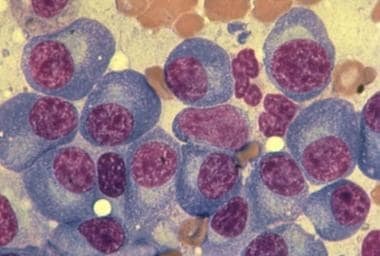 In a study published in the scientific journal Oncotarget, researchers from Uppsala University in Sweden show how the histone methyl transferase protein EZH2 affects the development of multiple myeloma, and that inhibition of EZH2 could be used as a new strategy to treat the disease. The article is titled “EZH2 Inhibition in Multiple Myeloma Downregulates Myeloma Associated Oncogenes and Upregulates MicroRNAs with Potential Tumor Suppressor Functions.” The tumor form multiple myeloma is today incurable and it has been challenging to improve therapy. Multiple myeloma is a type of blood cancer where immune cells grow in an uncontrolled manner in the bone marrow. Current therapies can prolong the survival of multiple myeloma patients, but the disease still remains incurable. In order to develop new treatment strategies increased knowledge is needed about the genetic alterations that cause multiple myeloma. Researchers at Uppsala University have previously shown that abnormal chemical modifications of DNA-associated proteins (histones) that regulate gene expression patterns can be a unifying underlying mechanism for the development of multiple myeloma. The researchers studied the protein EZH2, which is involved in chemical histone modification, and by treating tumor cells with substances that specifically inhibited EZH2 they could reduce survival of the tumor cells. In a recent study, the same research group, led by Professor Helena Jernberg Wiklund at Uppsala’s Department of Immunology, Genetics and Pathology, has identified a new mechanism that could explain the tumor-promoting role of EZH2 in multiple myeloma. The researchers analyzed the activity of a large number of genes in tumor cells that had been treated with an EZH2 inhibitor and they found four important oncogenes with a lower activity. The ticks that transmit Lyme disease to people die of dehydration when exposed to a combination of high temperature and lowered humidity, a new United States Geological Survey (USGS)-led study has found. In an earlier related study, the researchers found that southern black-legged ticks, unlike northern ones, usually stay hidden under a layer of leaves, where they are less likely to encounter people. The research group, whose findings were published online on January 11, 2017 in the open-access journal PLOS ONE, hypothesizes that southern ticks typically shelter under leaves to retain moisture, and that this behavior is a key reason why Lyme disease is very uncommon in the South of the United States. The article is titled “Environmental Factors Affecting Survival of Immature Ixodes scapularis and Implications for Geographical Distribution of Lyme Disease: The Climate/Behavior Hypothesis.” Lyme disease sickens an estimated 300,000 Americans a year, according to the U.S. Centers for Disease Control and Prevention, making it more common in this country than West Nile virus or any other illness transmitted by insects or arachnids. Black-legged ticks pick up the disease-causing bacteria, Borrelia burgdorferi, by biting infected animals, and can then transmit Lyme disease to people in a subsequent bite. The disease causes fever, headache, fatigue, and sometimes a rash. If not treated promptly, Lyme disease can damage the heart, joints, and nervous system. There are significant regional differences in Lyme disease prevalence. In 2015, Alabama reported 11 confirmed cases to the CDC from a population of about 5 million people. Vermont, with fewer than 700,000 residents, had 491 confirmed cases.